A sore throat is a very common problem in the monsoons. A sore throat refers to pain, itchiness, or irritation of the throat. Throat pain is the primary symptom of a sore throat. It may get worse when you try to swallow, and you may have difficulty swallowing food and liquids. Flu season often gets with it fever, cold and coughing. The constant itch caused by a sore throat is often agitating, especially if it hinders your productivity at work and home. Gargles: Our grandmother’s favourite cure for any sore throat infection, gargles are the best and most effective way of curing the sore throat. A glass of lukewarm water with a pinch of salt will help increase the blood flow to the pharyngeal region which will eventually wash off the infection. Warm liquids: Teas such as cinnamon tea, ginger tulsi tea, lemon honey tea or simply a cup of desi masala chai can do wonders for your throat. As the throat is choked due to infection, warm liquids can help relax this area. Soft diet: Eating foods lighter on your stomach will be helpful. Along with this, foods which won't hurt while going down your throat will also be extremely useful. You can steam an apple and consume it with honey, or have mashed khichdi or dal with crushed vegetables for best results. Steam: You can add a cough suppressant in your steam and inhale it for the speedy recovery. This will open up your nasal and throat area and help you breathe properly. Throat sootheners: During a sore throat condition, our throat tends to become dry and hence causes numbness in the throat area. Taking cough lozenges, menthol or eucalyptus oil lozenges can help you heal your throat faster. Local heat: a Sore throat also brings with it pain. There are times when our throat gets spasms of pain or while we eat a hard food, our throat starts to pain. At times like these, you can apply a heating pad or a hot towel around your neck give relief to the delicate aching area. Avoid going to public places as the infection can increase because, during the flu season, cold, cough and fever are extremely contagious and can worsen your condition. Get medical attention if our sore throat lasts for more than 5 days, your neck starts to swell or you get body pains and cannot handle the aches. If taken care of at an early stage, it can be cured instantly with some simple and natural herbal remedies. Turmeric Milk-1 cup of hot milk,1/2 teaspoon dried turmeric powder / 1-inch piece of fresh turmeric. You can also add up smashed ginger and honey or jaggery to make it more effective and soothing. 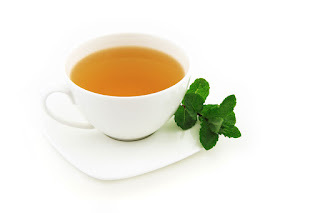 Ginger, tulsi, cinnamon and lemon tea-In a condition of a sore throat this tea give you relief from this. Boil water into the saucepan. Add tulsi leaves, cinnamon powder, ginger. Boil water until it reduces to half then add sugar or jaggery. Take precautions and prevent yourself from infections this monsoon with these simple herbal and Ayurvedic remedies. Home remedies are the best and natural ways to cure your ailment and bid goodbye to Allopathic tablets and syrups with various side-effects.